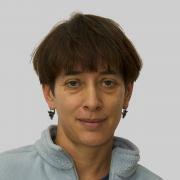 Prof. Nira Liberman is a Professor of social psychology at Tel Aviv University (since 2001). She received her Ph.D. in social psychology from Tel Aviv University in 1997. She had a post-doctoral position at Columbia University, NYC during 1996-1999, and an assistant professor position at Indiana University, Bloomington during 2000-2001. She studies psychological distance, including temporal distance, spatial distance social distance and probability. Her research encompasses questions of how distances affect mental representation, decision making and motivation, how distances affect intellectual performance, generalization in learning, as well as how distances are interrelated. Prof. Liberman also studies the cognitive-motivational mechanisms that underlie Obsessive-Compulsive Behavior. William H. Warren is Chancellor’s Professor of Cognitive, Linguistic, and Psychological Science at Brown University and Director of the Virtual Environment Navigation Lab (VENLab). He received his undergraduate degree from Hampshire College (1976), his Ph.D. in Experimental Psychology from the University of Connecticut (1982), did post-doctoral work at the University of Edinburgh (1983), and has been at Brown ever since. He uses virtual reality techniques to investigate the visual control of human action, including locomotion, path integration, spatial navigation, crowd behavior, and the dynamics of perceptual-motor coordination. Warren is the author of over 110 research articles and chapters and the recipient of a Fulbright Research Fellowship, an NIH Research Career Development Award, and Brown’s Teaching Award for Excellence in the Life Sciences. of increasing the level of driver assistance and safety in future cars. For his work on dense, image-based 3D reconstruction he received a David Marr Prize in 1998. 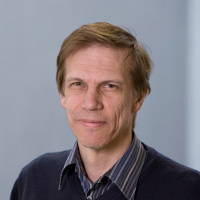 In 2016 he was awarded the Jan Koenderink Award for the lasting influence of his work on SURF features, and in 2017 he was given a Distinguished Researcher Award by the IEEE Computer Society. He is a co-founder of around 10 spin-off companies, most of them with computer vision as their focus.